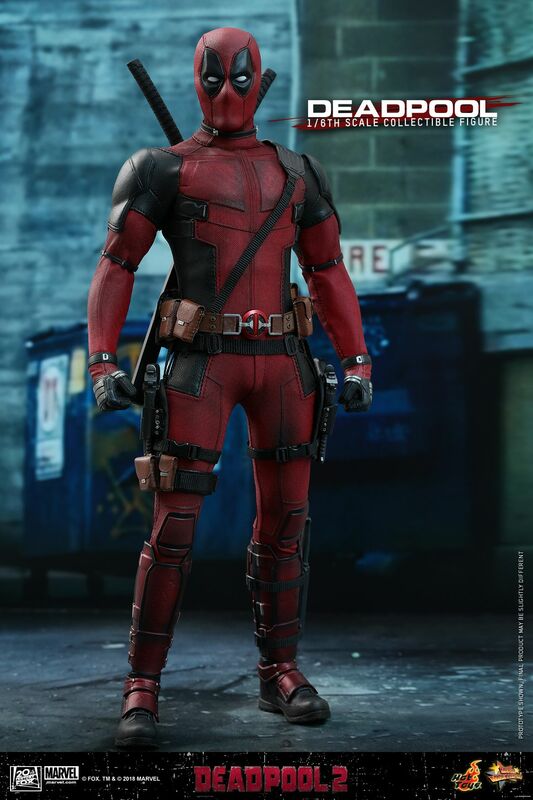 Hot Toys has revealed their first 1/6th scale collectible figure from the upcoming Deadpool 2, and it’s none other than the Merc with a Mouth himself! Check out the photos in the gallery below! 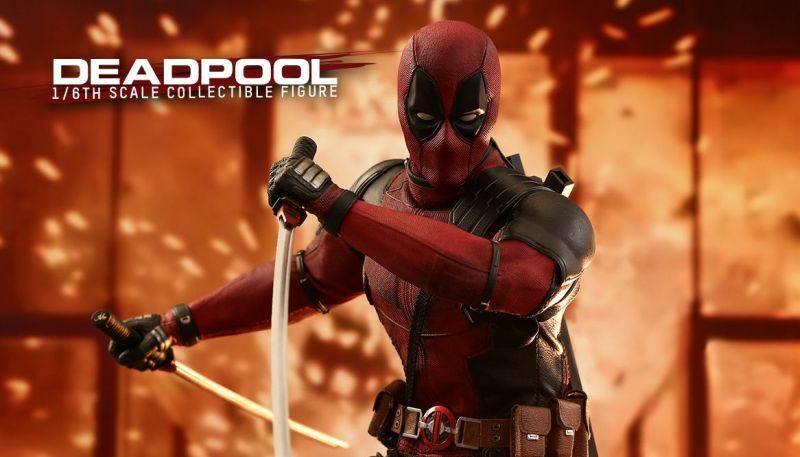 The figure features a masked head sculpt with 5 pairs of interchangeable eye pieces to create numerous combinations of Deadpool’s expressions, an iconic red and black Deadpool suit made with new materials and excellent tailoring, Deadpool’s signature weapons including a pair of metal swords, a dagger, and pistols, DP’s favorite mystical animal toy unicorn, a pair of interchangeable high heels, an X-Men Trainee jersey, a wearable neck device, variety of interchangeable hands available for different gestures, and a specially-designed Deadpool 2-themed dynamic figure stand perfect for aerial poses! Reynolds is reprising his role as the Merc with a Mouth in Deadpool 2 alongside Zazie Beetz as the luck-manipulating mutant Domino and Josh Brolin as Cable, the time-traveling son of the X-Men’s Cyclops. Jack Kesy (The Strain, Baywatch) is playing the film’s central villain, which, while unconfirmed, is rumored to be Irish mutant Black Tom Cassidy. Other additions to the cast include Shioli Kutsuna, Terry Crews as Bedlam, Lewis Tan as Shatterstar, with Bill Skarsgård, and Julian Dennison (Hunt for the Wilderpeople).